Parking spaces and walkways were also constructed along West Avenue. Bollards separate the parking spaces from the pedestrian right of way. As mentioned in a previous post, many commercial establishments benefitted from this “freebie” from the Quezon City government considering many establishments didn’t even have the minimum number of parking spaces as stipulated in the National Building Code. The local government balked at charging parking fees but one opinion is that they should charge fees for on-street parking facilities that generally benefit car-owners more than they benefit non-owners. I personally believe that there should be parking fees in order to recover some funds that could be used for other programs that could have otherwise received funding that also could have benefited more people. Following are photos taken along West Ave.
One advantage of the project was the reduction of on-street parking though there are still those who prefer to wait along the roadside (i.e., those with drivers). Parking spaces in front of a fine dining restaurant. 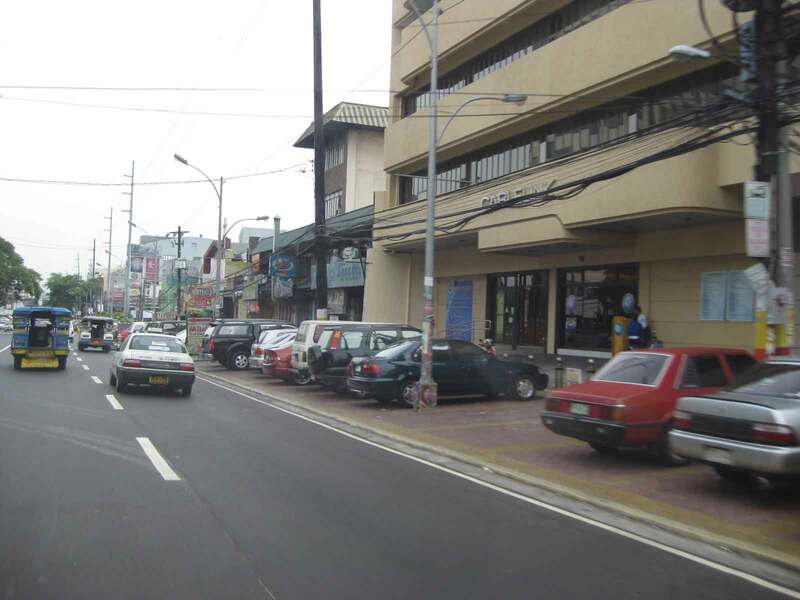 Parking spaces near the Delta area, which is the intersection of 3 major roads – Quezon Ave., West Ave., and Timog Ave.
By d0ctrine in Parking, Pedestrian, Walking on September 28, 2012 .